The immortal Declaration of Independence opens a new era, for the first time Vietnamese people have the right to raise their heads and take the pride in becoming citizens of a free and independent country. Over the past 73 years, Vietnam has been struggling for the cause and sacrificing the wealth, flesh and blood of the nation, fighting against enemies and shape the fatherland to defend and build the Fatherland of Vietnam today. Today, Vietnam has grown many times bigger, become a prestigious country on the way of integration into the world, especially in the cause of economic development. According to the Asian Development Bank (ADB), Vietnam is among the fastest growing economies in the region in 2018. 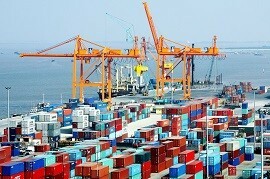 Vietnam is expected to continue to achieve strong growth, with the GDP growth expanding 7.1 per cent this year. Eric Sidgwick, ADB Country Director for Vietnam, said, aided by able macroeconomic management, economic growth will spurt in 2018, with Vietnam becoming one of the strongest performers in the region. Vietnam’s robust economic growth will be driven by vigorous manufacturing and export expansion, rising domestic consumption, strong investment fuelled by FDI and domestic enterprises, and an improving agriculture sector. Notably, private investment is expected to get positive effects from Vietnam’s rankings improvement in Doing Business Index 2018 announced by the World Bank (WB). Vietnam’s rankings went up 14 places, according to the WB. The country saw a record of 126.859 new business startups in 2017, an increase of 15.2 per cent over 2016. The government hopes to have 135,000 more businesses in 2018. The National Centre for Socioeconomic Information and Forecast (NCIF) also estimated that Vietnam’s GDP growth may reach 7.02 per cent in 2018 under the optimistic scenario. As for economic growth dynamics in 2018, NCIF said that, in the context of positive world economic factors to domestic economic activity, economic growth is expected to further expand in 2018. The government’s efforts to deal with economic difficulties and drastically accelerate growth in 2017 will be fruitful in 2018. Newly-signed free trade agreements (FTAs) are expected to bring about breakthroughs in business investment and export expansion. Authorities and branches at all levels are making drastic effort to improve the investment and business climate. These will be the drivers of economic growth. 2018 will be an important year for Vietnamese companies to expand penetration into the regional and world markets. Corporate equitisation will be accelerated in 2018 and private sector development will drive economic growth in the coming time. In addition, with the adoption and enforcement of the Law on SME Support from January 1, 2018, information transparency is gradually becoming an important indicator in business. Thus, enterprises will focus on developing advanced management strategies to adapt to the new context of the global economy. As some giant groups such as Samsung and Formosa are forecast to achieve high growth in 2018, they will push up the growth of the manufacturing industry and the overall economy. Vietnam is forecast to continue to obtain good results in foreign direct investment (FDI) attraction thanks to optimistic economic prospects and opportunities from international integration in 2018. Successful trade agreements will provide an opportunity for Vietnam to draw more FDI funds, not only from fresh investors but also from existing investors. Exportation and importation will also be driven by improvements in Vietnam’s relations with other countries in the world. Besides, the better growth of Vietnam's key partners in 2018 will result in stronger demands for Vietnamese goods. Prices of key commodities are also forecast to be bullish, thus helping Vietnam earn a higher value from exports. Moreover, the domestic manufacturing recovery also increases exports and imports. In addition to economic growth dynamics, inherent economic problems are still challenging, particularly backward technology, exhaustive land and natural resources, while the productivity, efficiency and competitiveness of the economy have just slightly improved. Growth drivers from both aggregate supply and demand sides, such as oil and coal production, remittances, FDI and consumption, have been utilised, thus making it hard for Vietnam to achieve as high growth as in 2017. In particular, the Vietnamese labour market will face a lot of challenges in 2018. The Fourth Industrial Revolution has, and will, affect all aspects of the economy and society. 2018 is considered a “turning point” of Vietnam in international economic integration. This is an opportunity, but also a great challenge, for Vietnam. The country has the opportunity to have more important export markets but it may face a huge challenge if it is not prepared well enough, with the clearest impact likely to be seen in export and import performance.